The people in Kannur are quite friendly and we had a wonderful time at the Dharmadham beach. I have never been to such a place where the beach is quite clean and offered a lot of nature. No doubt, Kerala has all the ingredients of a tourist state. We had our next itinerary fixed at the Payyambalam Beach Kannur. My friend suggested traveling in a bus as she is conversant with the places and the language. We got the direction to the bus stop from a passerby and walked almost 200 meters to reach it. Kannur has an exemplary bus services to almost all places. 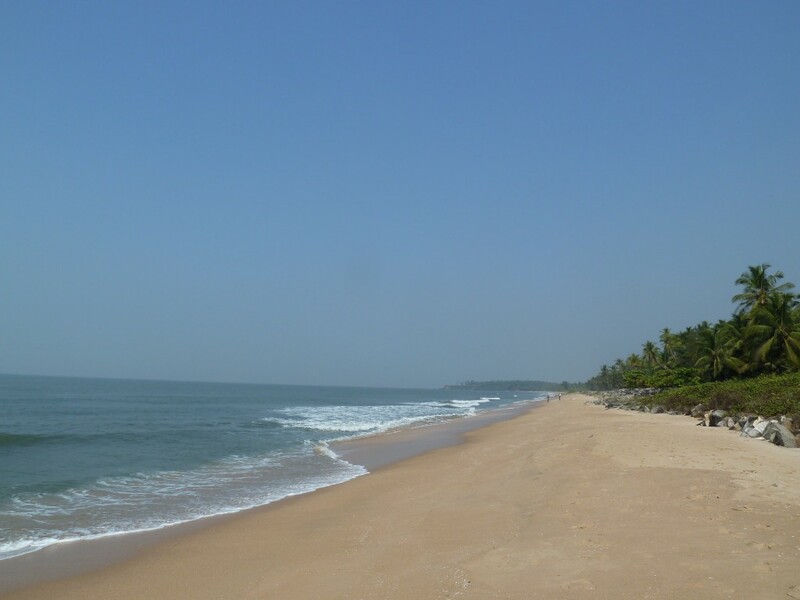 The Payyambalam Beach is located at a distance of 5 km from the Dharmadham Beach. We took 15 minutes to reach the beach. The vast stretch of sand was visible the moment we got down from the bus. This is one of the prominent beaches often visited by people. It looked quite secluded from the city and has recently become the best picnic spot for all kinds of people. Unlike the other beaches The Payyambalam Beach has a beautiful entrance. We walked along the beach feeling the sand under the feet. The sand was warm and the breeze was refreshing. We looked at the far stretch of the ocean and longed to see the sunset. I wanted to play in the water and so I insisted my friend to accompany me. We joined a small crowd of children who ran to the shore shouting and cheering when the waves chased them. It was very enthralling making us go back to our childhood days. 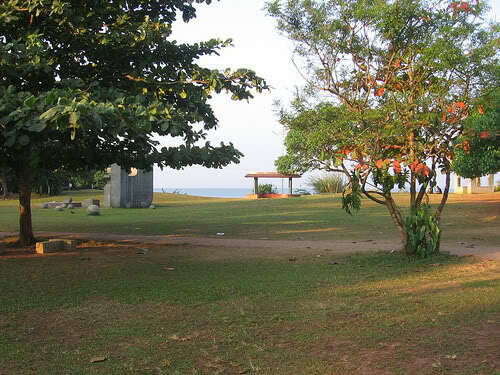 Next, we moved on to visit the Beach garden which was created beautifully to attract the tourists. I was intrigued by the statue of the mother and child, which was positioned in the centre of the garden. I went near it to observe it carefully; it was created by Kanayi Kunhiraman. We sat in the garden for sometime enjoying the beauty of it. My friend updated me saying that she had seen this garden in a Tamil movie. I took a few snaps of the place and returned to our hotel room.